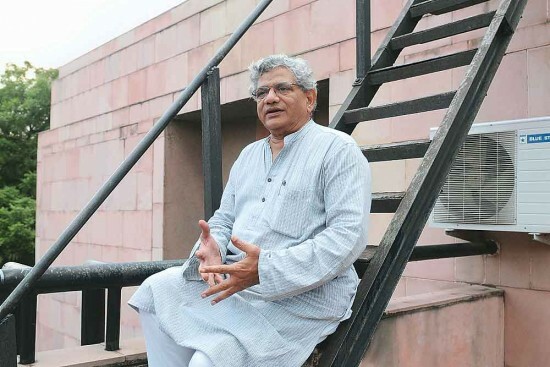 CPI-M Secretary General Sitaram Yechury on the biggest challenge for the Left, the GST and other issues. There is no change in terms of principles. Our objectives remain the same—we work for a society where exploitation of man by man ceases, so that everybody has equal opportunity and no man or nation can exploit another man or nation. There is no dilution in this principle of social order and international order. But the methods that the Communists used in the past, even a decade ago, will change. Communist leaders are often criticised for championing the cause of the poor while they send their own children abroad for studies or work. What do you say to that? My parents did not agree with what I am doing. I embraced Communism. What children want to do, they will do. But there are also many children of our party comrades who are actually into active party work. Of course, there are other varieties that you mentioned. My mother jokes that she brought me up to become a Communist, but when my children grow up, they could become capitalists! So what do you say? Children have their own priorities. Indeed, in Kerala CM Pinarayi Vijayan has hired Harvard professor Gita Gopinath as his advisor. Is it a deviation or is the Left becoming more pragmatic? I see nothing wrong in seeking opinion from professionals. I was also influenced greatly by an American economist, activist and writer Paul Marlor Sweezy, who nevertheless was very radical. Even today, the universities in the US are witnessing a surge of very strong, even radical Left thinking. As far as appointing someone in an advisory capacity is concerned, it is a government decision. So you are saying there has been no opposition to Gopinath’s appointment? It doesn’t matter from where you get ideas and knowledge from. Communists have always been open to ideas, but filter them down to achieve Communist principles. How does the Left view the Goods and Services Tax (GST)? The federal feature in our Constitution is not just a technical or a legal question, but a political question also. The unity of India depends on the strength of its federalism and that has to be maintained. So credit for GST is not important. What happened in the Rajya Sabha is enabling the provision. Now, when GST comes, that is when the actual battle begins. The passage of the bill has just enabled the government to bring a legislation; so far the government did not have the right to bring in a legislation. Is GST in its present form different from what was initially proposed? After long negotiations, the government finally had to accept three different legislations on GST. Instead of one centralised GST, which was the original idea of the BJP, there will now be three laws under GST­—central GST, integrated GST (IGST) and a state GST. The government cannot back out on them now. The state GST will have to be approved by the state assemblies. So, there is now some degree of relative autonomy of the state; the safeguarding has conceptually been done in this constitutional amendment. How it will manifest in concrete terms remains to be seen. By the way, this was not conceived even by the Congress when they were in government. I had several contentious arguments with P. Chidambaram when he was finance minister. With one centralised GST, the states would need to come to the Centre with a begging bowl. Now the Centre cannot have one centralised tax and say ‘to hell with state governments’. The domains have to be demarcated properly. We forced the Centre to accept following up the GST amendment with three laws. Do you see a disconnect between Parliament and the people? While people complain of high dal prices, Parliament seems unable to find a solution­? We have been continuously demanding that the government should ban ‘fut­ures trading’ and ‘forward trading’ on essential commodities. In commodity exchanges, the trader, the speculator, is bidding one year ahead on what he would pay for dal a year later. It’s a strange market. If he has to buy the dal that he has bid, the price in the market has to be higher for him to make a profit. So the pressure is to keep the price higher for him to make a profit. They are doing it at the cost of the common man. So the government should ban these essential commodities from commodity exchanges. Is that the only way to keep prices down? Well, what is the MSP (minimum support price) we are paying to the poor farmer? If the government gives the farmer the incentive that was promised to him, he will increase his production and prices will fall, so this kind of a crisis won’t come up. There is a constant buzz about imp­ending changes in labour laws. What has been the CPI(M)’s stand? We still don’t know what labour laws they want. For the last 20 years they have been in this reform process and there have been no changes in labour laws. The draft does mention certain points that are basically about a hire-and-fire policy. Will the Left oppose such a law? We will certainly oppose this sort of a labour law. If I am a worker and I am told today that I will be out of work tomorrow because this is required for economic growth and economic growth is required for employment generation, it is like saying I will lose my job today so that 10 years down the line I can get a job again. What can be more absurd? Several state governments seem to have already made some changes in labour laws? Labour is a state subject in our Constitution. Now the current BJP government is making BJP-ruled states implement regressive laws. They started with Rajasthan, followed by Madhya Pradesh and soon enough this will reach Maharashtra. They are eroding the rights of the organised working class and the hire-and-fire policy is already in place in Rajasthan. But, surely, workers cannot be ret­renched just like that? The proportion of organised labour is shrinking in the overall workforce, making it easier to circumvent labour laws. Less than seven per cent permanent workers today have trade union rights and collective bargaining rights. So 93 per cent of the people who are working in our country are either casual labour, contract labour or temporary labour, who do not have any protection. Look at those who work with anganwadis, ASHA, mid-day meal schemes—these people are not even workers and they are paid some stipend while they play important roles in society. We are trying to organise these sections, but it is quite a challenge. But the Left is not seen to be protecting the interests of retrenched Maruti workers at Manesar, many of whom are still languishing in jails? This is what happens when you have migrant workers who come as temporary or casual workers and you put them up like sardines in a can and make them work. Look at the proportion of the unor­ganised component in the workforce of Maruti. Look at the airports, BPOs and other places—the workforce is all outsourced. The Left is organising the unorganised and I admit it is a tough job. On unemployment and jobless growth, what is the Left’s prescription? Although people might wonder why I use an American expression, like the late US President Franklin Roosevelt’s ‘New Deal’, India today requires a new ‘New Deal’. High level of state investment in developing our infrastructure is necessary. The US roadways and other fanciful things would have been impossible but for the New Deal that generated jobs for workers in building that infrastructure. What they earned, they spent, and so the demand in the economy grew, giving the imp­etus for industries to grow. This is sustainable economic growth. The problem is, does the state have the money for investment? Now, we know there are 8.5 lakh crore non-performing assets lying with banks. We all know who they are—most are corporate bigwigs. That amount must be unlocked for ambitious infrastructure development projects. But how can the government recover the NPAs? The government will have to change the law and ensure that the parent group of companies is held responsible for repaying loans secured by a defaulting group company. This is what Vijay Mallya’s Kingfisher case is all about. That will bring in a huge amount of resource. Besides, every year they are giving tax concessions. Parliament passes the tax proposals, passes the budget, the tax rate is approved, but after all these exercises, concessions are granted by the government and each year it amounts to more than Rs 5 lakh crore. This is subsidy to the rich. The tax rate is supposed to be 35 per cent for the top bracket, but check out the effective tax rate of each corporate. Some of them pay taxes as low as 12 per cent. So we have the money. What is your party’s stand on the use of pellet guns in Kashmir? I am told these are imported pellets and even Israel doesn’t use them to shoot at Palestinians. As far as I know, there have been no reports of their use from anywhere else. And if this is the policy of the government, then there should be a complete ban on the use of pellets. What is there in the Naga framework agreement? The prime minister one day called me to say he has achieved what has not been achieved all these years, which is peace in Nagaland and an accord. So I said it’s very good if that is so. Please show us the accord. It hasn’t happened till date. So nobody knows what is inside that framework agreement. There is a growing perception that the Left’s appeal is declining rapidly. Is it reflected in the number of cadre and levy that you collect? Recruitment of cadre hasn’t dec­lined but it’s certainly not growing. We are not happy, particularly vis-a-vis the younger generation. Statistically, the number of youth organisations is growing, but what we are looking at is the proportion that should come to the party. The numbers haven’t fallen, but we are not satisfied with the growth. Left parties were once known for holding political classes and playing a role in educating the masses. One no longer hears about them. It hasn’t been happening as frequently as we would like it to happen. Earlier, it used to be an attraction since it was a source of knowledge and learning also. But with the revolution in the media, things have changed. But we will be setting up an all-India central party school with regular courses in Delhi in the name of Comrade Harkishen Singh Surjeet. We have a functioning school in Bengal and plan to strengthen the EMS academy in Kerala. There will be other state schools too. Why did the Left fail to bring about ­positive changes in West Bengal desp­ite its 36-year-long rule? We never imagined there would be a government that lasts so long. The priority was to transform rural Bengal. Simultaneously, we worked for deepening democracy. It was 11 years after Jyoti Basu introduced Panchayati Raj in Bengal that Rajiv Gandhi brought the constitutional amendment. On education, Bengal introduced free education up to Class 12 way back in the 1980s and ’90s. Then a shift happened towards agro-based industries and industrial policy. The 2006 election in West Bengal was mainly fought over rapid industrialisation. We secured two-thirds majority. Why then is the Left in tatters in Bengal? Unfortunately, we presumed that people had endorsed the industrial policy. That’s a cardinal mistake we made. Singur was neither the first instance of land acquisition nor the last. For the Rajarhaat land acquisition, a lot of homework had been done, which was not the case in other areas. Once the credibility became suspect, the downslide became faster. In Nandigram, nothing happened to an inch of land but it still became a big issue. Also, lack of knowledge of English is a big handicap for job opportunities. In retrospect, we feel that the transition to English should have taken place long back. In both West Bengal and Kerala, the Left is accused of encouraging violence? Now, that’s very unfair. In Kerala, the violence is always perpetrated, particularly in north Kerala, by the RSS. They exploded bombs at our victory rally and our people died, yet there are constant allegations against the Left. Even in Bengal today, the violence is against us; we are at the receiving end. What has changed is that the Congress is no longer No. 2; that position has gone to the BJP. Therefore, it is the BJP that is trying its best to consolidate there. With the Assam government in place, it is targeting the entire Northeast, ­including Tripura. In fact, the BJP and the Trinamool are playing in tandem; they have done it in West Bengal, they will do it in Tripura also. They will try to create some problem. But we are fairly confident we would overcome it. It is not an alarming situation. The only worry is ­because it is a border state and in the northeastern context, any degree of communalisation is dangerous because the flare-ups can be very violent. And there it won’t be a Hindu-Muslim communal fight; it can turn into a tribal versus non-tribal conflict and have other dangerous manifestations. Is Left unity possible at all? We appreciate the sentiments of a large number of Left sympathisers in favour of Left unity. Now, there are two ways in which this unity can happen. There could be a handshake ­between the leadership ­declaring we have come together. The other way is to work together through our mass organisations­—students, youth, farmers, women, trade unions—and build up that unity in struggles and movements from below. The bottom-up approach is much more sustainable. Our mass ­organisations are actively working together. Lastly, what are you reading these days? Any book that has influenced you greatly? I find something useful in most of what I read. Right now, I am reading a lot of works on the concept of nationalism and various contemporary writings by eminent historians such as Romila Thapar and Irfan Habib. 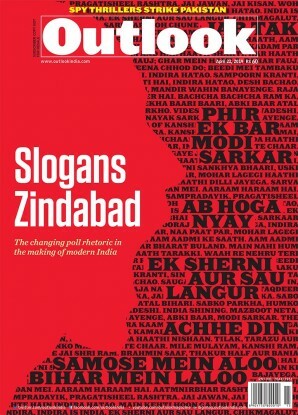 There is this new ant­hology of several essays on nationalism; I am reading that now. In fact, even one statement from a book could make a very radical shift in one’s thinking. Marx says the principles of justice can never rise above the economic conditions of the time. It’s a profound statement explaining why what was considered injustice once is no longer considered so. This one statement had a profound impact on me when I was a teenager. Books do make me think.